Has been in and around Escrow for 25 years. 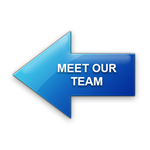 Has experience with notary signings as well. Worked with Legendary Escrow since its onset this year. Mother to two beautiful little girls. Taking care of her daughters, no time for anything else! And an avid recycler.